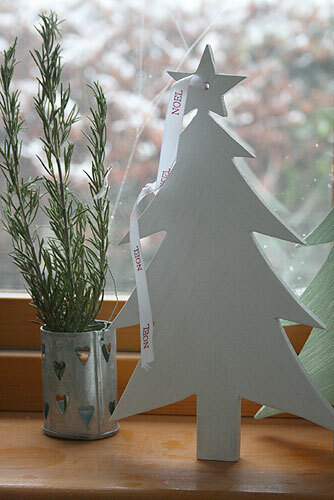 Why not have a go at making a Christmas decoration for a friend this year. 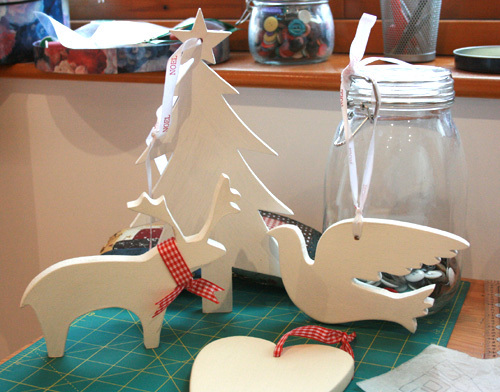 Last Christmas we had a go at making our own Christmas decorations out of recycled materials which turned out to be loads of fun as we tried desperately to make something that vagualey resembled a reindeer. All you need to make your own are a few basic tools and some flat pieces of old board. If you don’t have anything around the house, head to your local reclamation yard and buy a couple of old floor boards. You need to select half decent boards, preferably without any nails or holes if possible, and not too thick. Half – three quarters of an inch thick board will do just fine. They’re really simple to make and once you have a basic design each one should take about an hour to make. First find yourself a design and then draw it to the size you want on a piece of paper. Then take a pencil and trace around the template onto your board. In this example I’m making an Angel which will be symmetrical. 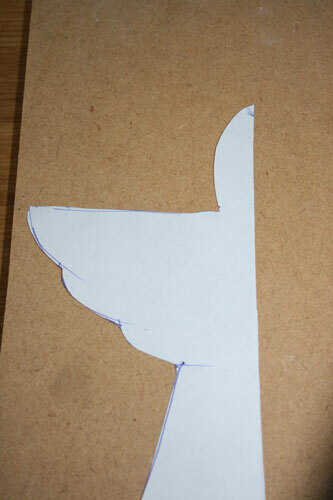 First I outline half of the shape on a sheet of A4, then I cut out the shape and position it on a piece of board. Next I draw around the shape and when one half is complete flip it over and draw round the opposite side. I’ve gone for a more traditional shape to my angel but don’t be afraid to use your imagination. Next, saw around the outside of the your shape trying to stay just outside the lines so you have a little bit left to sand back to the final shape. You can either use a fret saw, or if you’re lucky enough to know someone with a band saw you can always ask them to cut your shapes out for you. When you’re happy with your final shape take any spare paint you have, or as I prefer, buy a small sampler pot of natural paint (we used Farrow and Ball as we had some left over from the build) and give it a couple of coats in your favourite Christmas colour. They look great around the house and make the perfect gift as you head round to friends and family on Christmas Eve. A great idea for solving that annual problem of what to buy Aunt Dora adn combined with reducing the amount of waste we generate. I will be sharpening my saws this afternoon.